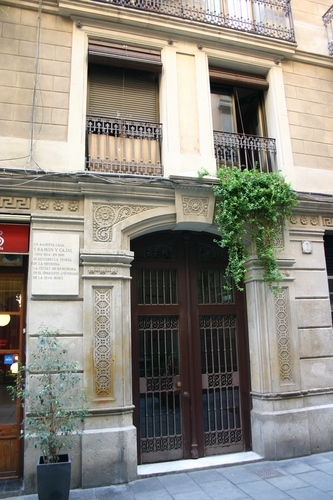 Santiago Ramon y Cajal lived in Barcelona from 1887 to 1892 as a professor of Histology in the University of Barcelona's medical school. 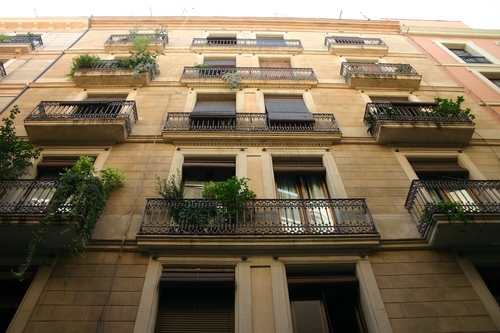 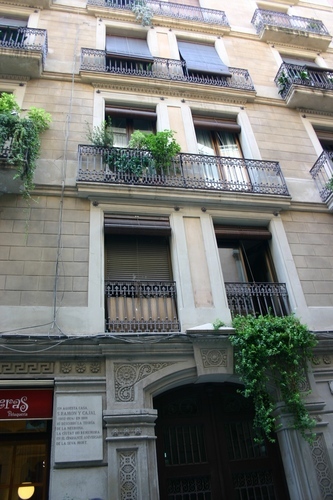 During a period he lived with his family in this home (Carrer del Notariat, 7) where - due to the lack of premises in the University - he organized a little laboratory and, in 1888, made the fundamental discoveries which led to the "neuron theory". 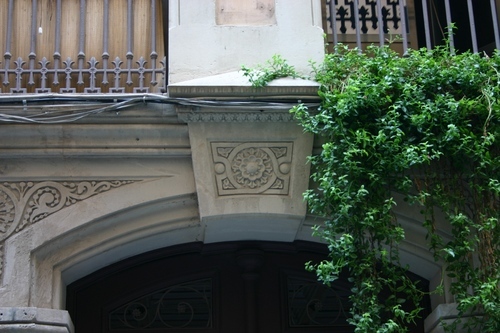 A marble tablet was placed on the facade of the house in 1984. 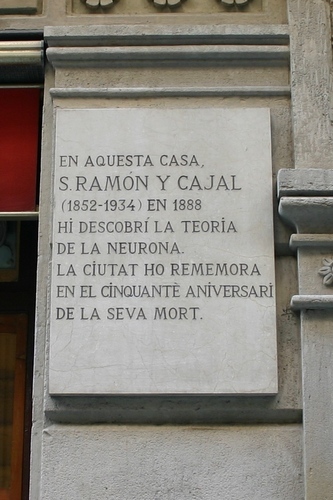 The Catalan inscription remembers that: "EN AQUESTA CASA, / S.RAMON Y CAJAL / (1852-1934) EN 1888 / HI DESCOBRI LA TEORIA / DE LA NEURONA. 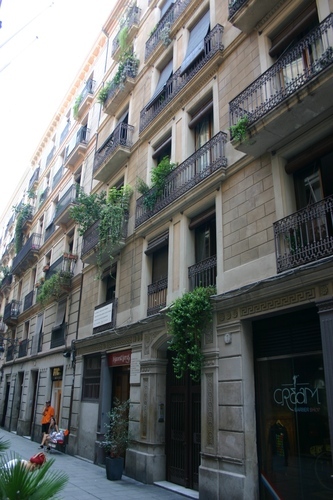 / LA CIUTAT HO REMEMORA / EN EL CINQUANTE ANIVERSARI / DE LA SEVA MORT".